“Beyond the Box Communications is the first of the next generation media companies in Myanmar,” says Southeast Asian media veteran Ross Dunkley. And with that, Citizen Dunkley announces he’s back in the media business in Asia. A quarter of a century ago, Dunkley, a Walkley Award-winner and rural press publisher, left Australia and in 1991 became a partner in The Vietnam Investment Review. That newspaper was sold to James Packer in 1994. In 2000, Dunkley launched the Myanmar Times with co-founding partner and nominal owner U Myat (Sonny) Swe, the son of a senior Military Intelligence officer. 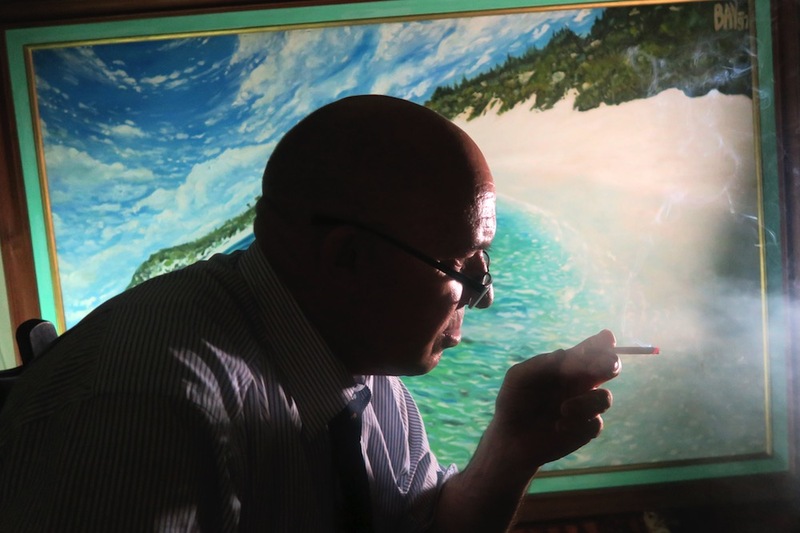 Turmoil struck in 2005 when Sonny Swe was sentenced to 14 years’ prison for violating censorship laws, and Dunkley had a new owner imposed on him. In late 2007, Dunkley and others including Perth miner Bill Clough bought the fortnightly Phnom Penh Post and turned it into a daily in August 2008. For Dunkley this was an intense time – his marriage foundered, there was tension with the new owner of the Myanmar Times, and the Phnom Penh Post takeover was tricky. In 2010 an election was held in Myanmar and this brought ominous signs for Dunkley. In February 2011, Dunkley was arrested and in June convicted of assault and immigration offences. He was sentenced to one month jail and freed because of 47 days already served pre-bail. Dunkley says, “Once inside I only held thoughts that I would soon be out. I should have been extremely concerned and thinking I could be jailed for 10 years or more easily with charges of administering drugs, kidnapping and bashing a woman plus immigration offences. Dunkley’s jailing, plus his Hunter Thompson-like tendencies, gave him added media cachet, propelling him into the US mag Vanity Fair, where he was dubbed Citizen Dunkley and described as a “swashbuckling Australian journalist” by writer Tom Freston, one of the founding members of the team that created MTV. Dunkley met Freston a couple of times, and hosted him at his home, together with two of Freston’s guests, the wives of Richard Gere and Jimmy Buffet. 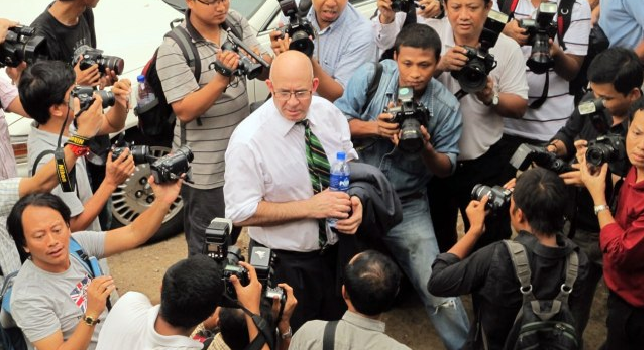 International limelight aside, the jailing and ensuing drama took its toll and later Dunkley exited both the Myanmar Times and the Phnom Penh Post. Some say Dunkley was ousted. He disagrees. “I remained as publisher at the Post from the time we bought the paper in 2007 through to 2013, a considerable amount of time,” he says. In Myanmar he negotiated with a new buyer, U Thein Tun, a wealthy entrepreneur, banker and chairman of the Myanmar Bankers Association. Now, after lying fallow for a time, Citizen Dunkley is back with Beyond the Box Communications. “Its revenue streams come via a daily newspaper in English on the back of a 24-7 live streaming in Burmese,” he says, “We’ll operate a commercial printing factory and get involved in events and e-commerce. “We’ve assembled an exceptional founding team: Yamin Htin Aung, publisher of My Magical Myanmar (wife of my former partner Sonny Swe); Glen Felgate ex-CTN Cambodia, a pioneer in broadcast there; Tint Swe, the former chief government censor and head of the national broadcaster. And John McKenzie, an IFC/World Bank veteran of 20 years will help steer the company strategically. “As partners we will tip in US$1.5 million (A$1.9m) and look to raise an additional $3m for 30% of the company.